MIAHALLEN calls Corsair Dominator GTX3 memory "ABSURD!" Let�s recap, this memory is amazing!� DDR3-2100 6-9-6-24 74 1T is excellent.� The IMC on all seven of the IMCs I tested on the other hand, not so good.� If you are unsure about the strength of your IMC, weigh carefully your option to purchase this memory, your money may be better spent elsewhere. The quality or condition of existing in a meaningless and irrational world. 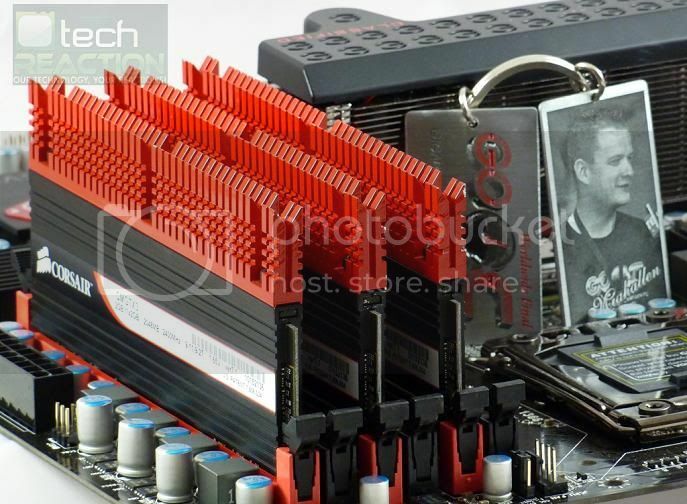 This memory has absurd performance! This memory is absurdly expensive! This memory is absurdly desirable!